The Toyota Models that we buy instant in Brisbane. Sell Toyota Today and book your dream car, don’t wait anymore when we’re offering top cash. Why cash for Toyota cars? It’s simple when we pick your car, before that we check car models, relevant documents, condition for evaluation. These are very easy to get quotes over the phone by calling on our contact number. 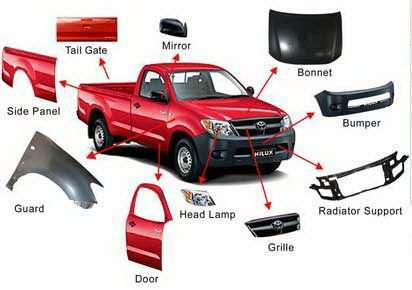 Auto Salvage buy Toyota different models of cars and dismantle them for recycling after getting their useful parts. Parts: Air Bags, Doors, Cylinder Head, Distributors, Suspension, Headlights, Bonnets, Door Glass, Bonnets, Radiators & Condensers, Mag Wheels, Front & Rear Bars, Steering Wheels, Boot Lid, Tail Shafts, Seats, Guards, Inlet Manifolds, Grills, CD Players and Radio Faces. Whenever plan to sell your vehicle in Brisbane Qld, there are some essential steps that you need to well known in terms of selling the second-hand car. There are several ways to deal with the buyers for any vehicles which are by classified ads, visiting direct to buyers place, involve middleman for deals, by browsing online. There are several benefits and irritating as well. First of all, would like to explain the benefits- you can get a lot of buyers there, compare several quotes before selling. Second is irritating to get several calls from buyers and email and fixing the meeting schedule, more time-consuming task. However, no one will buy without seeing the vehicle. For that particular thing, you need to be there when somebody comes for inspection. Most of the time, buyers will never get the right value if it deals with the middle man. They always try to sell with their high commission that gets cut of the real value of the car. No Middle man, No Paper Ads, No Classified Ads, NO more time to wait; that’s why it’s instant cash for cars. 07 3338 8937 for online quotes.